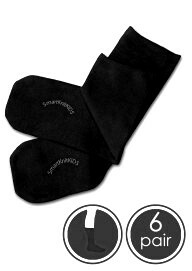 Get a great deal on your favourite seamless socks with this handy 6-pair pack! Also available in White, Navy, Charcoal Grey, Pink & Purple. Machine wash and dry, medium temperature, no bleach. HELP! What size do I buy? 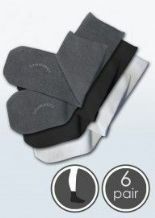 Because there are no heel pockets in these socks you can use different sizes to achieve different lengths. Find child's shoe size on the left and follow across to the length desired to find the suggested sock size to order.